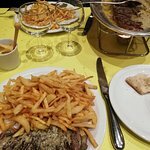 We like this Entrecote, which is just a few steps from the Place de la Comedie.Top Notch SteakEntrecote is easily my favourite restaurant chain - France or anywhere. The unique menu remained unchanged since the beginning. 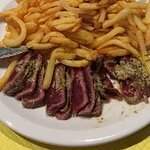 This formula is a decked slice of sirloin of 170 grams accompanied by french fries and its famous sauce. 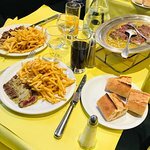 His son Henry, opened a restaurant in Toulouse in 1962, in Bordeaux in 1966, in Nantes in 1980, in Montpellier in 1990, and finally, in Lyon in 1999. These restaurants are characterized by scots and black mural, a lemon yellow topping and hostesses dressed with yellow apron and black blouse. The exterior is beautified by yellow and black blinds vertical stripes for the best effect. 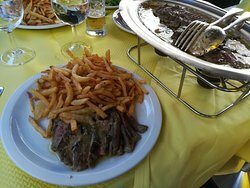 Steak finely sliced in delicious sauce, chips and salad, whats not to like. Great way to pass a couple of hours and the service is friendly. 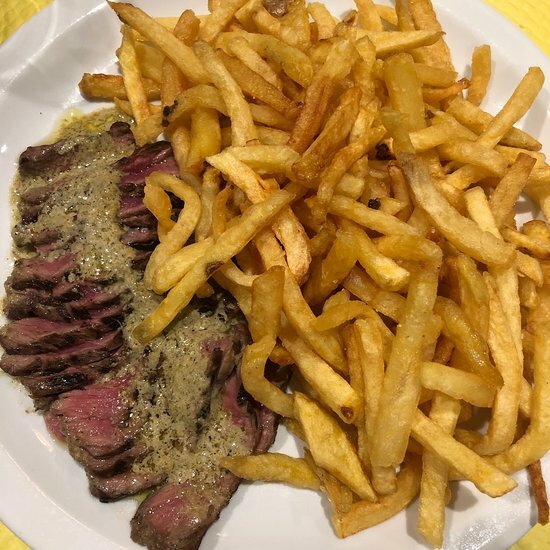 The steak was cooked as we requested. 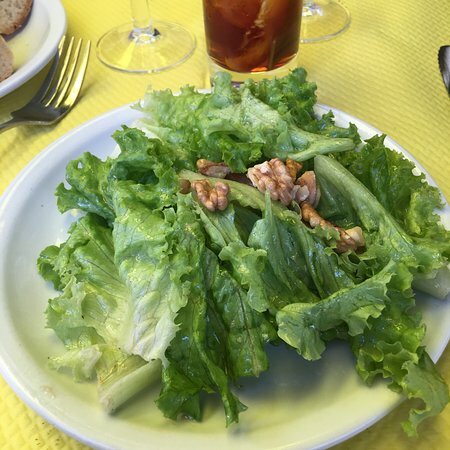 The fries were appetizing and could be replenished; the salad, fresh and tasty. Service was pleasant and efficient. 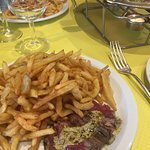 For those who want steak and frites, L'Entrecote should be considered. 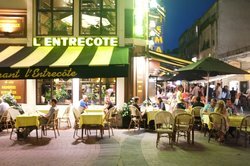 We - a group of rugby following friends - have previously been to L’Entrecote in Bordeaux. 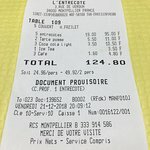 It was excellent … and so was the Montpellier restaurant. Very welcoming, very French and very good value. Heartily recommended!